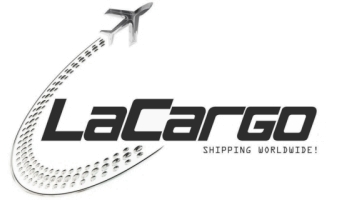 LaCargo stockall is our world-exclusive supply system. 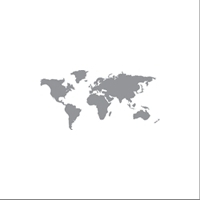 We work with 4 international distribution centres and a state of art system that enables us to have over 100.000 items available within short supply time. We always try to help if we can customer needs and requests with the highest quality service standards. The supply of new stock and the collection of orders will require a certain amount of time. Announcing orders prior the actual order date can speed this process up. So if you're knowing you're going to get a big order, you can shorten the waiting time if you inform us a few days earlier. We make sure that all items leave our house in best condition. We use high quality mailers. As a kind of addtional service to our cheap standard airmail posting services, we give you insight in our logistics department by announcing shippings every week on our facebook page. 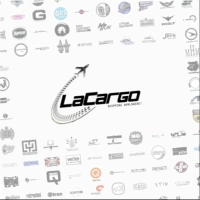 Since the very first days of LaCargo we worked with international customers. We accept Paypal- and SEPA-transfers to make shopping easy and safe as possible. Our business concept merges the benefits of both, classic DJing and state of art technology. We have high quality standards for our products, but its the passion for music that works for us as a main motivator. Formats: The format description on discogs is highly accurate. We serve items "as delivered", sometimes even still sealed from factory. We'll pass all info that we were given by the distribution company. 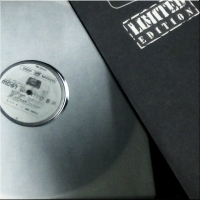 CDs: "Unmixed full versions" means: The appearing tracks are unedited full length, digital masters. 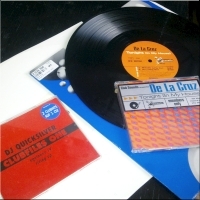 Mix-CDs are often recorded turntable mixes by Vinyl DJs. Grading: Mint means: "new!" While many sellers on Discogs trade used items only, we concentrate on brand new stock. We also stock used items sometimes. It is our philosophy, to offer items in acceptable condition. Our grading is hard and critical as we're always trying to provide the best goods and services for our 4.000+ international customers. Our discogs shop is online since 2007. Meanwhile we're considered one of discogs' most popular sellers. We're distributing about 800 international record labels, aswell as compilation series and merchandise. Buying music thru Dicogs is safe and easy, the database is constantly being updated and modernised. 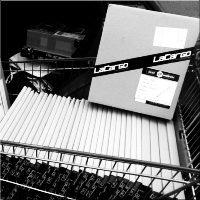 Bringing back rare out of print classics and previously unreleased tunes: The LaCargo limited edition. Only on Vinyl! All releases are exclusive to LaCargo. They are only available via our shop and associated stores. We have a big pool of record labels and artists on our radar to pick just the best for our customers. We do not believe in modern media publishing and promotion - it is all based on free choice and matter of personal customer taste. 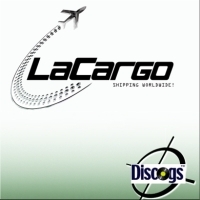 Here at LaCargo we'd like to bring even dated productions closer to our worldwide customers.